If you lose your keys, you’ll need a car key made as soon as possible. But can a locksmith replace your key without the original? Learn more here. Oh no! While on vacation, you dropped your car keys somewhere on the floor outside and have not been able to find them since. Now you need a car key made without having the original one at hand. How are you going to make that happen? Simple, by obtaining a locksmith. To ensure that you take the proper steps when you need a car key made, we here at Bode and Bode are telling you 4 simple things you should do beforehand. If you need new car keys, we suggest you listen and take notes. Before being able to answer the question, can I get a car key made without original car keys? or should I get a locksmith? you should first know the answer to the question, what type of car do I have? To replace keys from cars made before 1981, you only need a key cut from a standard key block. To replace keys from cars made after 1981, the locksmith would have to tediously cut a transponder key or key with specially programmed chips in it for safety features, and then properly program it to be able to start your vehicle. Once you’ve established what type of car you have, you must then figure out what type of car key you need. Like stated previously, if your car was made before 1981 you will probably just need a standard key cut, while if your car was made after 1981 you will need a transponder key. The third type of car key you may need is a smart key. Smart keys act as a remote, have a key fob attached to them and do not require traditional means of turning on the ignition. After learning about what type of car you have and what type of key you need, it is finally time to get an auto locksmith. Getting an auto locksmith is the most cost-efficient option when you need a car key made. Another way you can get your car key made when you do not have the original key, outside of getting a locksmith, is to call the dealership and ask for a replacement. Although a viable option, doing so will cost twice as much as having a locksmith cut and program a new key. 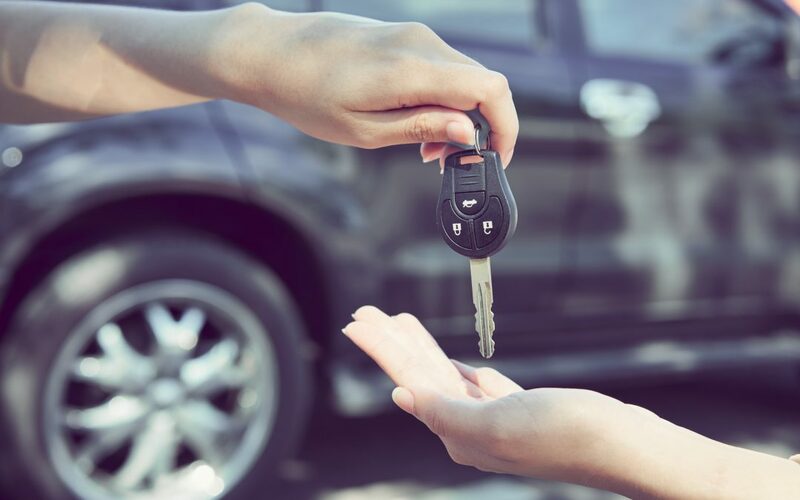 Instead of your locksmith cutting and programming a new car key, you can even have your locksmith create an entirely new key using your car’s ignition. Although another viable option, once again this process would be much more expensive than just having your locksmith cut and program a new key. One unlikely option for getting a new car key made is to have a DIY car key replacement. When you need a car key made by a locksmith, you first have to identify the year, make and model of your car, prove ownership of the vehicle and have the vehicle identification (VIN) number, and key identification number/key code at hand to give to the locksmith. You can prove ownership of the vehicle by showing your registration and title. You can find the VIN number by looking at your driver’s side dashboard, engine bay, metal plate, and/or driver’s side doorstop, and you can find the key code by checking the stamped interior door panel on the lock mechanism. When giving your locksmith information, also make sure to tell him whether or not your car keys were stolen so that he or she can reprogram your car so that the old keys will not work on it anymore. So, next time you need a car key made and you are asking yourself, can I get a car key made without original car keys? The answer is, of course! Through the service of a good locksmith, getting a car key made with or without the original key is a piece of cake. If you want to contact Bode and Bode to have our locksmiths make you a new car key, call us today!